Welcome and thank you for visiting our page. We are a company which was formed to provide a service with a difference! This being to provide our customers with a high quality, reliable and competitively priced heating and hot water repair or installation. We cater for homeowner’s, landlords, managing agents, commercial contract manager’s and facilities management companies within the London, Surrey and Kent area. Whether the job be a straight forward boiler change or a full system design we have the right engineers for the job. We offer a 12 month parts and labour guarantee on any work we carry out directly. We will aim to have a response time of 48 hours to any questions or queries we have and our highly experienced engineers are on hand 24 hours a day for any emergencies you have. We have a very transparent and competitive pricing structure and all our installation estimates are free with no obligation! 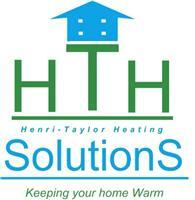 We specialise in gas central heating and hot water so rest assured we will always have a solution to your problem. THANK YOU FOR VISITING OUR PAGE, WE LOOK FORWARD TO HEARING FROM YOU!